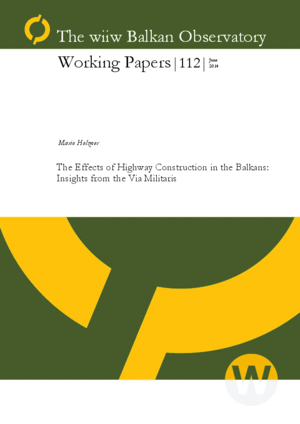 The economic effects of the construction of modern road transport infrastructure in the Balkans, one of Europe’s economically most backward regions, is being analysed in an instrumental variables setting. In order to avoid endogeneity the construction of new highways is being instrumented by the proximity to the major ancient Roman road network that was originally constructed mainly for military purposes, such as the Via Militaris that used to run diagonally through the Balkan Peninsula. First results for Croatian municipalities in the period of analysis between the two census years of 2001 and 2011 suggest that the construction and opening of new highway sections had not only substantial positive economic effects, as measured by the change in employment, on the municipalities where the construction took place but also on the neighbouring municipalities.